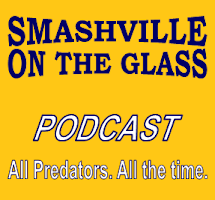 With little local coverage of the Preds-Jets game from Winnipeg on Sunday night, our friends over at Illegal Curve gave us a heads up for clips from Barry Trotz, Carter Hutton, Matt Cullen and birthday buy, Colin Wilson after the impressive 3-1 road win. Go here to enjoy! Thanks to Dave at Illegal Curve for permission and keeping us in the loop. Chicago Blackhawks over the Boston Bruins in seven games. After a 6-2 record in the opening round and a 3-1 success rate in the second round, I will put my best ever prediction rate on the line once again for the NHL Conference Finals. Los Angeles Kings over the Chicago Blackhawks in six games. Pittsburgh Penguins over the Boston Bruins in seven games. Per Kevin Allen, the Nashville Predators early March acquisitions continue as the have picked up Zach Boychuk on waivers from the Pittsburgh Penguins. The 5'10" left winger was taken in the first round (14th overall) in the 2008 NHL Entry Draft by the Carolina Hurricanes. He played 73 NHL games with the Canes, picking up seven goals and adding 11 assists before being claimed off waivers by Pittsburgh on January 31. He failed to make the score sheet in seven games with the Pens. After a disastrous west coast swing, where the team was 0-3, the Predators have today off while they hope to regroup for a rare back to back home set with Edmonton and Minnesota on Friday and Saturday nights. In a normal season, as March beckons, teams that are in the playoff hunt scramble for talent while the others try to pick up assets for the future as they move players that no longer figure into the organizational plans. In this abbreviated 48 game season, the trade deadline will not occur until April 3 when the Predators have 11 games remaining. In the last few days the Predators have made a pair of moves that may be a precursor of what may be a calmer year for the Preds at the trade deadline as speculated by Ryan Porth. On Thursday, the Predators traded fan favorite, Brian McGrattan, who had only appeared in a pair of games in Nashville this season, to the Calgary Flames in exchange for defenseman Joe Piskula. Piskula, the 28 year old, 6-3, 214-pound blueliner, was assigned to the Preds' AHL team in Milwaukee. This season he has played for Abbotsford of the AHL and has 10 points (2g-8a) and 51 penalty minutes in 46 games. In his career, He has played in 10 NHL games with Los Angeles (2006-07) and Calgary (2011-12), going scoreless and posting eight penalty minutes. With the emergence of Rich Clune as a shift disturber with more offensive upside, McGrattan no longer fit into the Predators' future plans. This morning, with the Predators down to 20 healthy players, with Hal Gill being placed on Injured Reserve and Brandon Yip being shaken up in San Jose on Saturday, the Predators claimed Bobby Butler from the New Jersey Devils on waivers. The 25 year old Butler had an outstanding college career at New Hampshire and was a Hobey Baker finalist in 2009-10. Butler had an excellent rookie year with Ottawa in 2010-11, when he scored 10 goals and added 11 assists with the Senators. The following year, his numbers headed south when he scored only six goals and had ten assists in 56 games. He was placed on waivers and his contract was bought out by the Senators on July 27, 2012. He then signed a one-year, two-way contract with the New Jersey Devils for this season. In 14 NHL games he has a goal and an assist for the Devils. Earlier this season, in the AHL, Butler had 27 points (16g-11a) in 37 games. It is unclear what the Predators' plan for Butler who may benefit from a change of scenery and a move to the Western Conference. According to Chris Johnston, Butler was told of the move while the Devils were on the ice in Toronto. The Predators will play the Stanley Cup Champion, Los Angeles Kings tonight at 9:30 p.m. before returning home for rare back to back home games against Edmonton and Minnesota on Friday and Saturday nights. After improving in each of the first two games and settling for the loser point in each, the Predators made big strides in the final two periods against the Wild in Minnesota and broke into the win column for the first time this season by a 3-1 score. Chris Mason started his first game of the year for the Predators and limited the Wild to one goal on thirty shots, including several great scoring chances in the games closing moments. Gabriel Bourque played 14:15 in his first game of the season, after coming back from injury, and appeared to invigorate the third line that he shared with Brandon Yip and Nick Spaling. Bourque spent considerable time around the net distracting the Wild players and could have been in on Spaling's goal that tied the game late in the first period. Marty Erat played it smart on his go ahead goal after picking the puck from Niklas Backstrom by gently sliding it into the net instead of being cute. As an older player, he is crafting a career to be proud of as a lifelong Predator. Speaking of long time Preds, David Legwand has the market cornered on empty net goals and late game markers as he had tonight, picking up the clincher with 17 seconds left on the power play. The Preds have now scored on the man advantage in all three games. Richard Clune got in his fight in early when he tangled with Zenon Konopka a couple of minutes into the game. I would think the jury is still out his role with this year's team. He did pick up three hits in five shifts. After a banner night in the face off circle on Monday, the Preds were only 25 of 58 in their second game without Paul Gaustad. The Predators continue onward on their marathon road trip and will meet the Blues in St. Louis on Thursday. They will also end the trip in St.Louis which will make three of the first nine games against what appears to be one of conference's top teams.